I'm definitely very very tempted to get them, I want to see some more pics before I decide though ha. Having taken the old lights out they appear to be all bulbs and not LEDs. The new ones are in and I think I have solved the flickering (using BimmerCode) but I cannot get rid of the brake light failure warning for left and right. I do not have Carly. I may try coding them as DRLs and see if that solves the issue. Worth a try. Is there a voltage check option can you turn that off? Fitted mine today without any errors. Mine still flicker for a second at startup but then it stops due to the bulb check. I’ve coded mine with Carly to stop the voltage monitoring and to display bulb errors for both brake lights and it’s fine. I’ve got esys on order and will have a play when it turns up. What options did you select on Carly exactly? Turn off voltage check and what do you mean display bulb errors for brake lights - is that another option to select ? Yes, go into Carly coding, select BCM and once it’s read the module, at the top filter to warning lights and turn off both brake lights and the dash warning goes away as soon as it’s coded. Didn’t even need to restart the car. So clearly it can be done. Did the outgoing rear lights have bulbs as is the case with my 2015 JCW? I am trying to avoid buying Carly for a one off job - hopefully BimmerCode will come up trumps soon. The only LED light on the outgoing lights are the DLR ring. The rest are Halogen. Oddly, with the new lights, it only gave an error for the brake lights. The indicators didn't. I had someone ask me about them today at when stationary at the lights today. Yes, that’s the only error I am getting. If you don't mind a drive to Redditch (Worcs), I can code the error off? Very kind of you but I’ll try and find a solution closer to home. Pity they do not do them for a Clubman! Or an R56! Hoping the aftermarket will take note of the success of these and oblige. It was only a matter of time ... spotted at Brooklands yesterday. The UJ Lights are really catching on arnt they. I wonder if the clubman and countryman will get them in a few years? I'm really pleased with the lights. Good news re the forthcoming fix. Please let me know when you hear. That's good news on the fix from MINI too, wonder what it is and when! 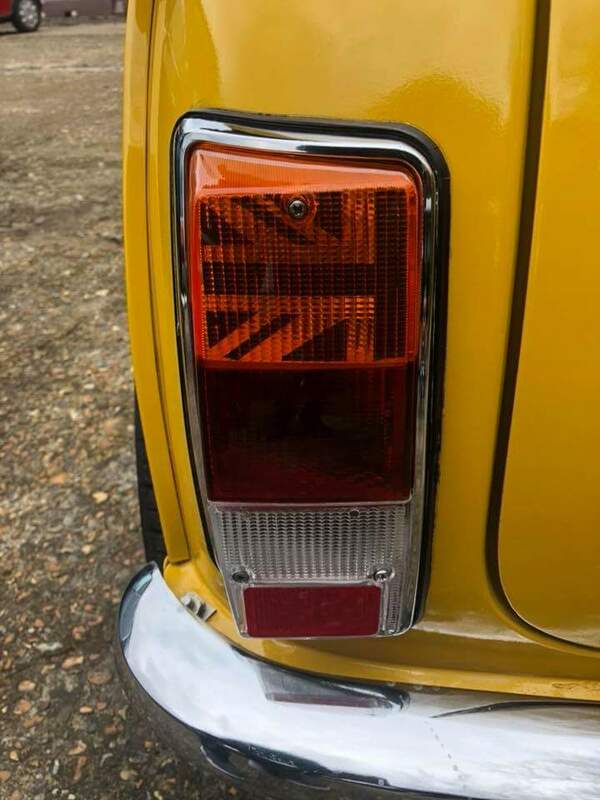 Someone I was chatting to today went down to were MINI dealer at weekend to look at the LED lights in the Flesh lol and the dealer said MINI are aware these are popular and are looking into a fix. If you have Carly, you can turn off the bulb errors. Takes 5 mins max. Not sure why Mini don’t know how to code it. MINI probably want to do it properly and test it and whatever maybe that is a software update that needs to get approved by some people higher up before it's released? I wonder if Cotswold know anything about an 'official' MINI fix, they seem pretty clued up, or James does anyway - I have his mobile number so I might text him tomorrow and ask! 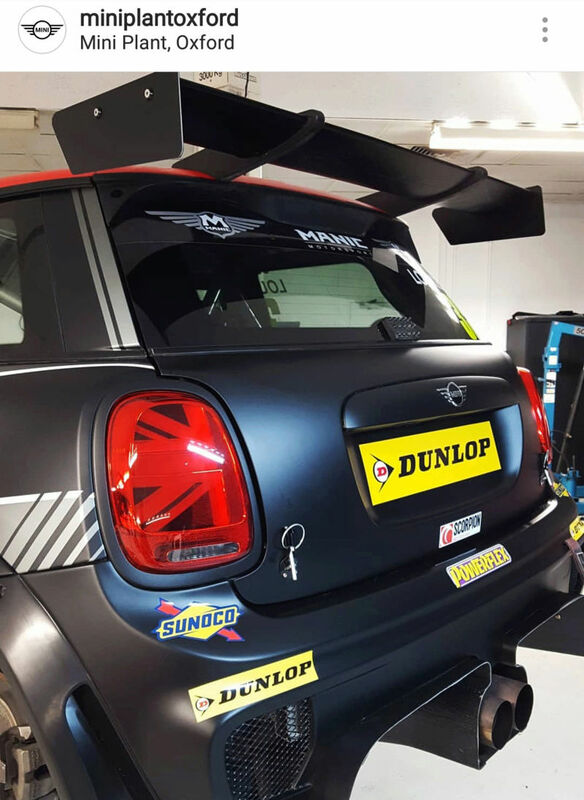 And now they've even made it to the MINI Challenge, on the factory OX4 Racing JCW. Really enjoying my lights I'm rather obsessed with them have to turn auto lights off when it's daytime and put the side lights on so they stay on lol! Probably the best cheapest 'mod' I've ever purchased.